Critics of Consolidation often argue that it failed to deliver on its promises for Downtown Jacksonville and the Urban Core. These arguments often miss the context of the pressures Jacksonville and other cities were facing at the time, which would have only gotten worse without decisive action. When compared to the various other solutions that Florida cities pursued to counter these problems, Jacksonville's bold solution stacks up well. The 50th anniversary of the Jacksonville Consolidation, which merged the governments of the city and Duval County in 1968, has sparked enough discussions and think pieces to fill the Wells Fargo Center. Critical takes on consolidation often focus on the state of Downtown and distressed Urban Core neighborhoods, arguing that the merger is a root cause. These arguments tend to look at Jacksonville in isolation. If consolidation were really at the heart of Jacksonville’s urban struggles, one would assume that peer cities had developed much more effective solutions, and that other consolidated cities would also have struggling downtowns. However, a look beyond the Duval County line shows that neither is the case. Critical arguments generally don’t take into account the dire situation Jacksonville faced at the time, and which would only have deteriorated further without action. In Jacksonville and many other American cities, mass suburbanization led people to leave older urban neighborhoods by the thousands for newer homes outside the old city centers. This removed much of the middle and upper class tax base, saddling cities with vast needs just as tax revenues were collapsing. In Jacksonville, urban land values fell so low that the city could not generate enough in taxes to make its budget. To bring in some revenue from suburbanites, the city hiked electric rates, which disproportionately affected the poor. Infrastructure and even basic operations were suffering, furthering the old city’s downward spiral. This is the context that made Consolidation with the suburbs palatable to urban and suburban voters alike. While many neighborhoods in Jacksonville’s Urban Core still struggle today, their situation would have been much, much worse after another five decades of declining population and revenues. It’s often said that without consolidation, Jacksonville may have become like modern Detroit. However, Jacksonville would have been lucky to become Detroit. With only 200,000 people and dropping in the ’60s, Jacksonville would have been more like small, forgotten Flint. Tampa in 1960 and 2018. Much of New Tampa had already been annexed in 1953. Maps courtesy of the University of Florida Digital Collection and Wikimedia. While Jacksonville’s situation in the 1960s was especially grim, the city was not in a bubble. Other cities grappled with the same problems. While Jacksonville pursued consolidation, other Florida municipalities took different paths. A number of Florida cities increased their declining tax base by annexing massive tracts of suburban land. In 1950, Tampa had about 125 thousand people across 19 square miles. In 1953, as people and their tax dollars started fleeing for the suburbs, Tampa annexed another 60 square miles, primarily in the New Tampa area north of town. Since then it has added another 34 square miles, and grown to a population of over 385 thousand. 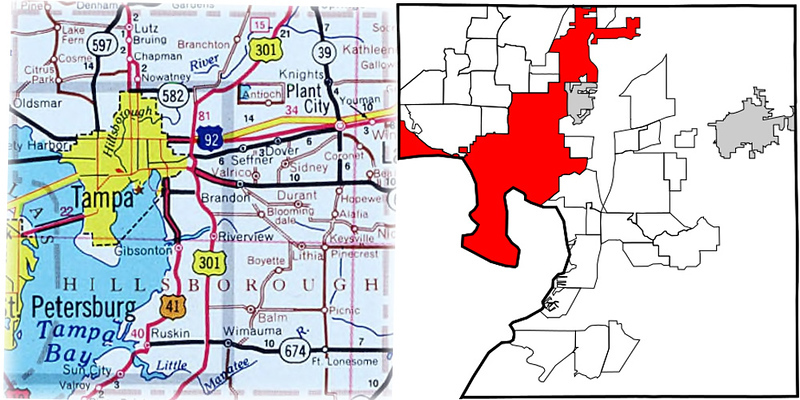 Orlando in 1960 and 2007. Maps courtesy of the University of Florida Digital Collection and Wikimedia. Orlando and other Central Florida cities followed the same tack. Orlando was a small town in the 1950s, with about 27 thousand people spread across 25 square miles. Over the ensuing decades - especially after Disney World opened in 1971 - it annexed another 80 square miles, and has grown to over 280 thousand people. 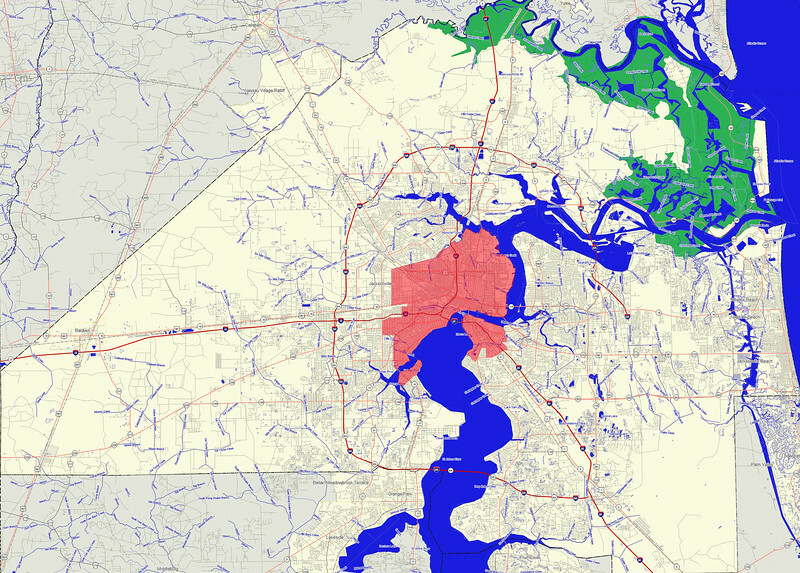 A quick look at a map of Orlando’s city limits reveal the downsides of annexation. Florida municipalities are known for annexing new, high-growth areas, while leaving out unincorporated neighborhoods that are distressed. In Greater Orlando, there are enclaves of unincorporated areas that are partly or entirely surrounded by Orlando, meaning that county services have to pass through Orlando to reach them. Compared to consolidation, which in Jacksonville incorporated every neighborhood, rich and poor alike, annexation as it has proceeded in Central Florida is certainly not a fairer, more equitable way of addressing the problem. 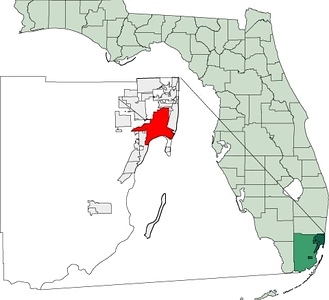 Miami (highlighted) and other incorporated municipalities in Miami-Dade County. Map courtesy of Wikimedia. Never one to follow other cities’ lead, Miami went down a unique path. Rather than the city annexing more land, a two-tier government was established with Miami and the 33 other municipalities covering some services, and Miami-Dade County providing others - effectively Consolidation Lite. There is a separate Mayor of Miami-Dade County whose position is more powerful in most respects than the city mayor. Even the cities that did annex land couldn’t do it fast enough to keep up with the outward flux of people. Like Miami-Dade, the Orlando area has established a separate Mayor of Orange County whose position is more substantial than the city mayor. There are advantages to this approach, but it does result in redundancy and added cost, of which the inner cities bear the brunt. Residents of Orlando and Miami pay for two mayoral administrations and have higher property taxes than folks in the unincorporated suburbs, issues moot under the consolidated form of government. Critics often blame consolidation for the lagging state of Jacksonville’s downtown. If this were true, one would expect the same fate to have befallen other consolidated cities. However, consolidated cities as diverse as Nashville, Denver, Louisville, Indianapolis, Philadelphia, and San Francisco all have vibrant downtowns today. New York is effectively consolidated with five counties. 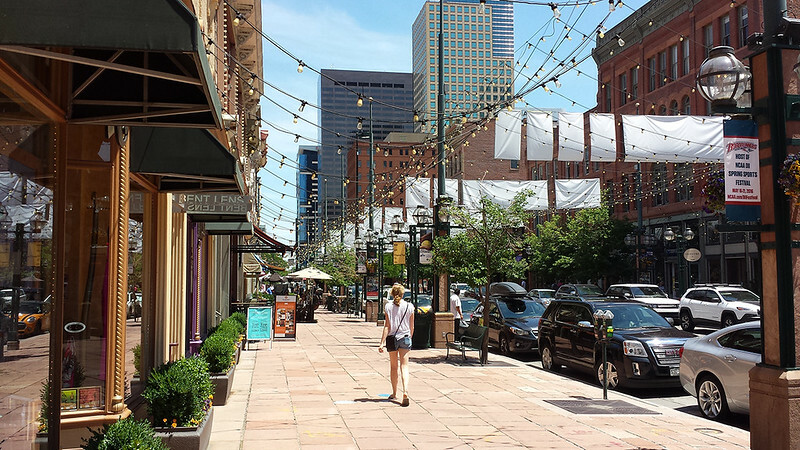 Other unconsolidated cities with sprawling land areas like Dallas, Oklahoma City and Charlotte have also had success revitalizing their downtowns. The claim simply doesn’t hold up - Downtown Jacksonville has 99 problems, but consolidation ain’t one. “When done right, consolidation allows a city to harness the resources of the entire county to bolster the urban core”. When done right, consolidation allows a city to harness the resources of the entire county to bolster the urban core. Jacksonville has not always been successful or consistent at this, but the cases where it has speak for themselves: the Better Jacksonville Plan, economic development initiatives in Downtown and the Northwest, the Jacksonville Journey, and the establishment of the Downtown Investment Authority are among the examples of the consolidated government making a positive impact on urban neighborhoods. The struggles Jacksonville faces in the Urban Core are not the result of Consolidation - they long predated it, and would have been much worse without it. Compared to the methods other cities have tried to deal with the same problems, consolidation has served the city well. In fact, Jacksonville would do well to study and learn from the things our vibrant consolidated peers are getting right, so that we can reach the full potential of our bold idea.